Pakistani designers are going places! Just recently a bunch of Pakistan’s best designers showcased their talents at the Qatar international Fashion Festival (QIFF) on March March 19 and 20 at Al Majlis Ballroom, Sheraton Hotel. Adnan Pardesy, Asim Jofa, Goal, Hamna Amir, Rana Noman, Rani Emaan, Sadaf Amir, Shazia’s bridal gallery, Umer Sayyed, Umsha Couture, and Waseem Noor were at the festival to present their collections. The festival is a project by designer Sana Salman, who ntended to promote Asian – wear in Qatar. For the past 5 years, it has served as a permanent platform for designers to showcase their work. 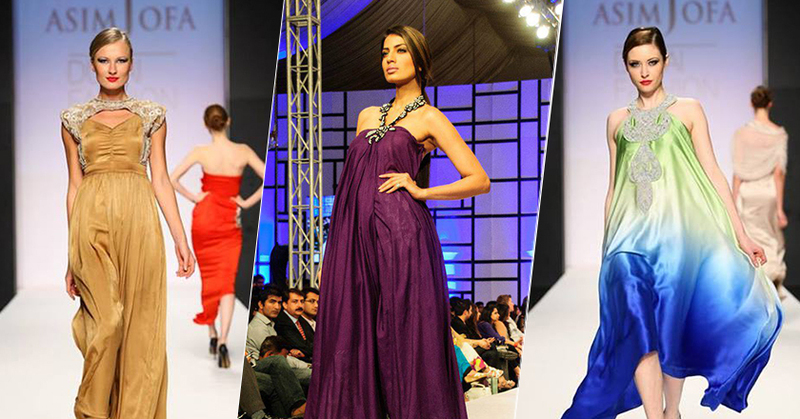 Pakistani supermodels also graced the runway including Cybil Chowdhry, Fouzia Aman, Iraj Manzoor andRizwan Ali. “Taking part in credible fashion platforms, such as QIFF, allows us to increase exposure of our brand to a wider audience, which will definitely result in greater opportunities for our label to grow,” stated Pardesy. Fawal Afzal Khan, known for his princely role in ‘Khoobsurat’ also attended the event.